The country was in a frenzy after videos shots being fired, money trucks being blown up and notes flying everywhere surfaced online. Yet another cash heist was recorded in Gauteng. The latest cash heist happened on Atlas Road in Boksburg - not far from OR Tambo International Airport. An employee at a nearby car dealership caught the drama on camera. 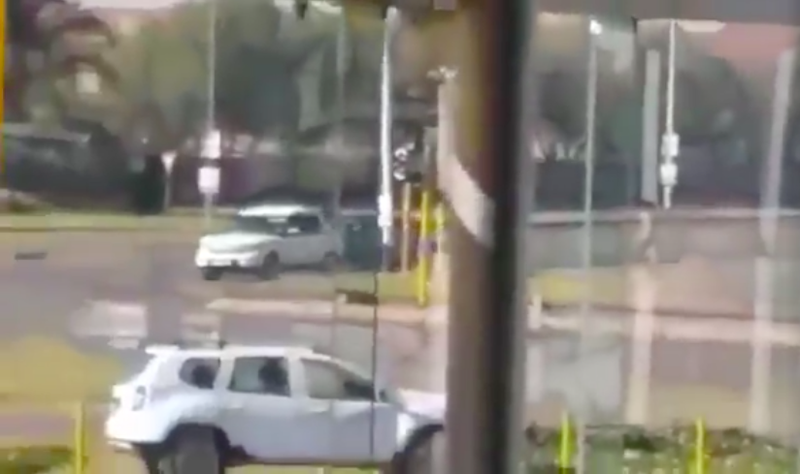 Her video shows the utter terror South Africans experience when criminals strike. Her video shows the robbery from a complete different angle. WARNING: This video contains strong language and is not for sensitive viewers. Gauteng police's Mavela Masondo says five suspects have been arrested after two cash vans were blown up and robbed. The incident left at least two bystanders injured according to JacaNews.